I haven't added my dragons to groups for a while -- I had a big move and packing/unpacking took all of my extra time and energy -- but when I tried to add some today, I got EXTREMELY frustrated. It used to be that clicking on the words "add to group" on the dragon's profile would lead to a page with a complete list of all of my groups (and I have a LOT of groups! ), but now it just activates a drop-down menu (which, IMO, should ONLY come up if I click the little arrow to the right the words -- or the list icon to the left of the words, which makes me wonder why all three things are needed if they all lead to the same place). Because some of my group names hit the maximum length, the drop down menu also mangles many of the names and makes them unreadable/unusable. Right now, the only work-around I have is to right-click on the "add to group" link and open it in a new tab -- that's the only way I can get to the page that I was always relying on in the past. 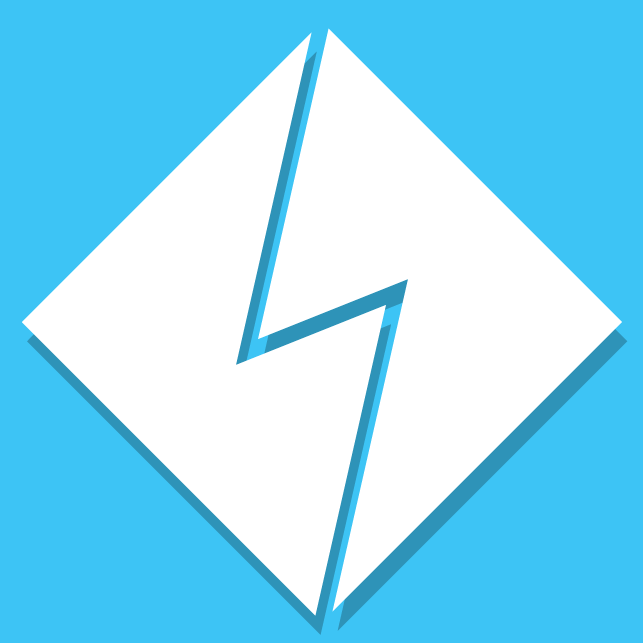 Is there any way to get that link to work right again? Truth be told, I hate drop-downs and would be happy if they all disappeared forever, so having that be the only option I can readily access really diminishes the game play and might make me stop using the "groups" feature. I like the dropdown- it's better to not have to load a new page. But if you can access the page you want just by right-clicking and opening in a new tab, I don't see the issue? (if you have a middle-click button that takes out the need to even right click and manually select 'open in new tab', as middle click does that automatically). I reported that as a bug when I noticed it, but TJ said the change was actually a bugfix since it was never intended to work that way. So opening it in a new tab is really the only way to use it now. Scrolling through my very long list of groups in that tiny dropdown becomes more and more annoying, but I don't know if it's worth trying making it a suggestion to change it back. When it was changed I think I was the only one bothered by it, so I don't think many people would be interested. @Ardath Rekha: Can you provide a screenshot outlining the problem you're seeing with the drop down version? Sorry about the delay in responding; it's been a crazy week. That's odd, though. When I was first using the lists, I remember always going to the full page when I clicked the link. Maybe because I have adblock plus enabled universally, in addition to having an ad-removal subscription? 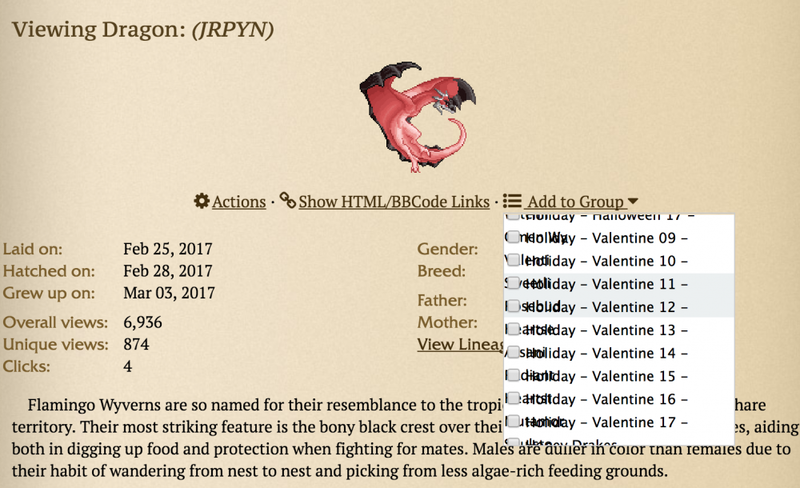 I really liked being able to see the entire page easily; if I was adding a dragon to multiple groups, it was much easier to check and verify that I had put it in all of the groups I planned to than with a drop-down menu. I guess that's a case of "one person's bug is another person's feature." 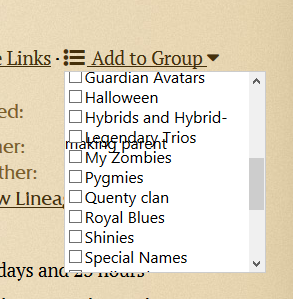 I'm attaching a screencap of what the drop-down does to my longer-named groups. Most of the time, I can still intuit which group is which based on the start, but I had to stop and think "okay, WHICH dragon dropped in Halloween '13 again?" a few times when I was adding my new Halloweens to groups. I've been wanting to report the 'long names running together' thing for awhile now and kept forgetting. I only have one group that does that, "Hybrids and Hybrid-making parent", but it's very annoying and unsightly all the same. If it can't be wrapped down to the next line correctly, maybe just show the first part of the group name? Not ideal, but better then this.